I just created a Tumblr blog with URL cprogr.tumblr.com. 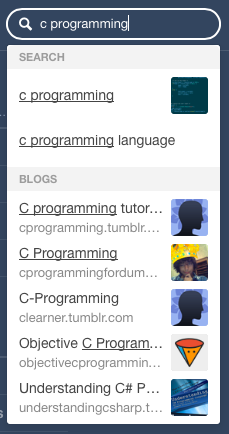 But when I search Tumblr with "cprogramming" (i.e., the title of my blog) it doesn't show up. My blog is not password protected. The way Tumblr's search works is that it first brings up blogs that directly contain whatever your search input in their URL, and then by related titles. Since there are many blogs that can share the same titles and compete for a position in top five displayed blogs in the search results, it makes sense that a blog may not show up based on its title simply because there are too many. Unique URL's therefore are given first priority. 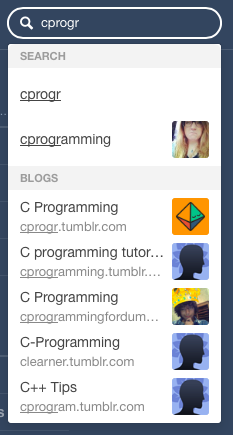 Is it possible to filter tumblr posts of a blog to a particular author? How to make Tags show in this Tumblr Theme that doesn't show?